The apartment is fully equipped with everything we needed and more. The landlords were most kind and always took care of everything we needed (all in superlative). For the price in question our expectations were met and exceeded. 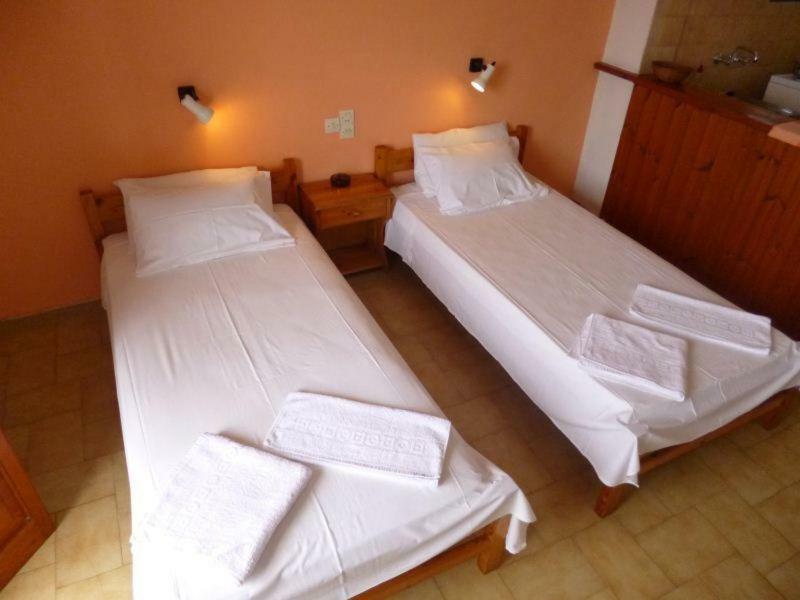 The apartment is situated in a very peaceful and almost heavenly serene area which is beautiful as it is functional (bus station, three supermarkets, few taverns are very close). 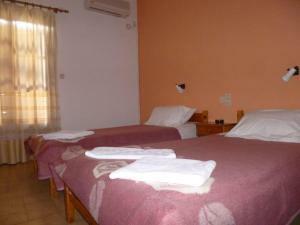 The nearest beach Trulos is only a 10 minute walk from the apartment. 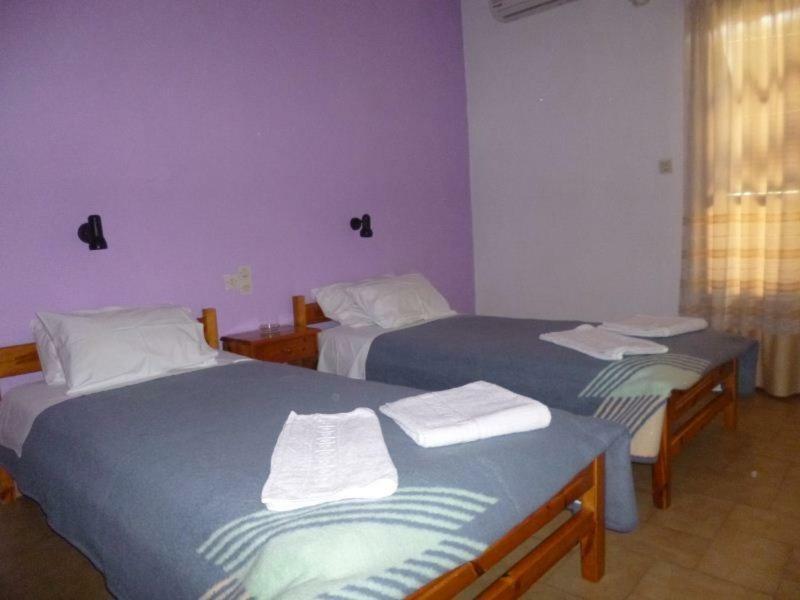 Clean, comfortable, close to public transport for travel to Skiathos city and beaches. 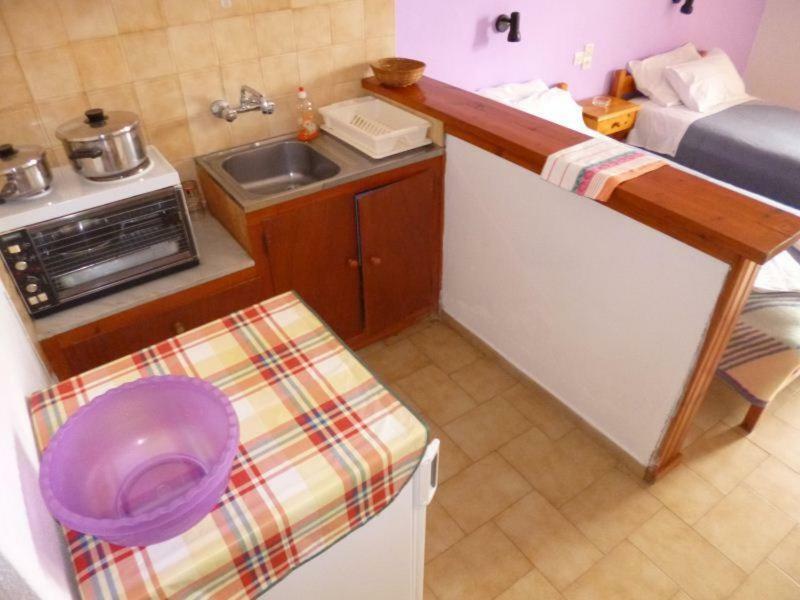 The hosts were very friendly and helpful: they cleaned the room every day and changed our towels every three days. The room was big, with a full-furnished kitchen, air conditioning and a nice balcony. wi-fi worked wery well. The position of the apartment was perfect: close to the best beaches. It's a perfect place for young couples. It was a large studio, fully kitted out with all kitchen equipment we could have ever needed. Our towels were changed three times during the week and the room was cleaned daily. Our hosts both greeted us on arrival and were really friendly and approachable. Nothing was too much trouble for them 😊. We were perfectly located for local shops and beaches and able to walk to meet our friends who were also staying locally very easily and we would definitely think of staying here again! Soba je bila vrlo čista. Frances nam je izlazio u susret u svakoj prilici, čak i više nego što je to normalno očekivati. Okolina objekta je uglavnom vrlo mirna i zelena. Položaj na otoku centralan, po našem ukusu. Sve je blizu, i plaže i gradić, a nije prenaseljeno. La struttura si trova in una posizione tranquilla ma non lontano dalla strada principale. La stanza è stata pulita quotidianamente con un cambio di asciugamani ogni tre giorni e, pur nella sua essenzialità, è risultata abbastanza comoda. Ho particolarmente apprezzato la possibilità di parcheggiare l'auto al termine di una salita, ripida ma breve. Il balconcino è risultato piacevole s.t. per consumare la prima colazione con il massimo relax. 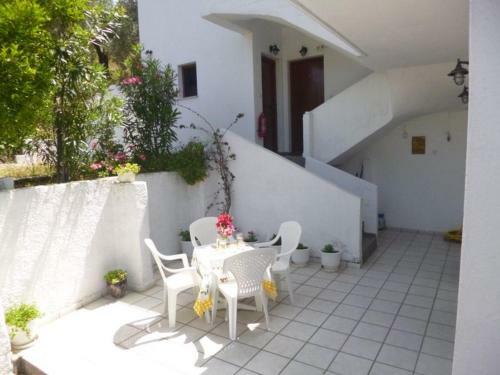 Considerando i prezzi leggermente più alti di Skiathos rispetto ad altre isole, nel complesso il rapporto qualità/prezzo è soddisfacente. Gentilezza e disponibilità dei proprietari, posizione ottima per raggiungere le spiagge migliori, comodità a supermercati e negozi, pulizia ottima. Buona la posizione sull'isola per le spiagge migliori, ma serve un mezzo. La spiaggia di Troulos, a piedi, è ad almeno 15 minuti. Personaggi carini e simpatici, lei ci ha anche portato un dolce fatto da lei, lui brontola spesso, ma si limita a quello e non inficia sul soggiorno. Lo definirei pittoresco. Camere sempre pulite e ordinate. Lock in a great price for Irini Studios – rated 8.4 by recent guests! 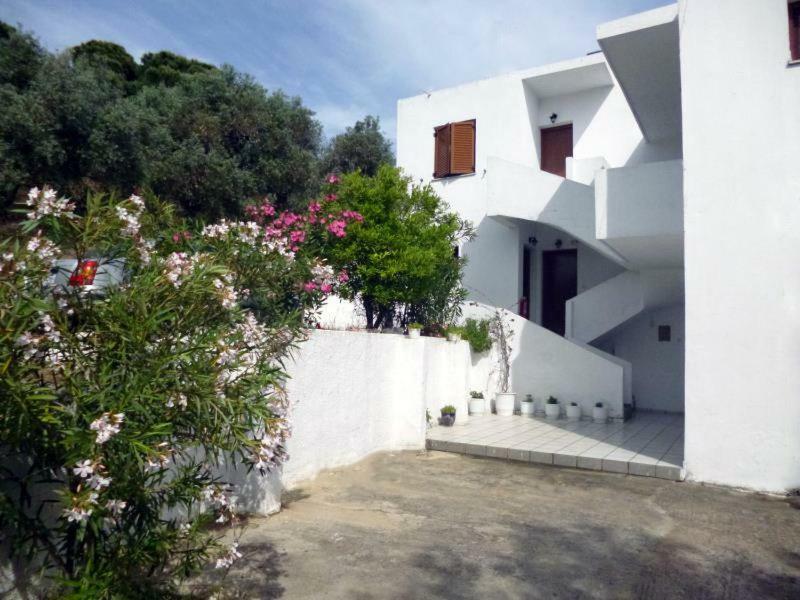 Surrounded by a garden with fruit trees and flowers, Irini Studios is located 1,650 feet from the beaches of Troulos and Platanias. It features self-catered accommodations with a balcony overlooking the garden. Spacious and airy, all studios are air conditioned and come equipped with a TV. Their kitchenette has a mini fridge and cooking facilities to prepare breakfast or a light meal. The private bathroom is fitted with a shower. Guests will find a bus stop at 150 feet from Irini Studios. The famous beach of Koukounaries is at 2.5 mi, while Skiathos Port is 6.2 mi away. Free private parking is possible on site. 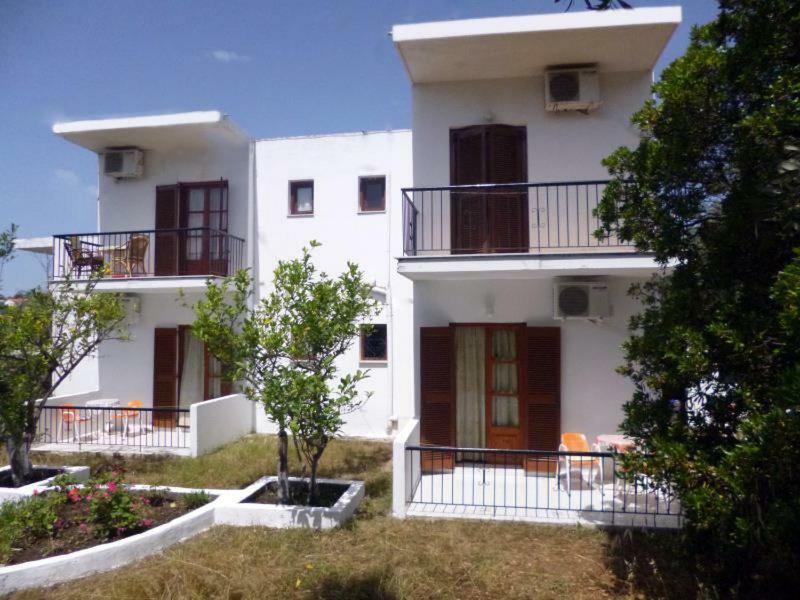 When would you like to stay at Irini Studios? Spacious, air-conditioned studio with a balcony overlooking the garden. 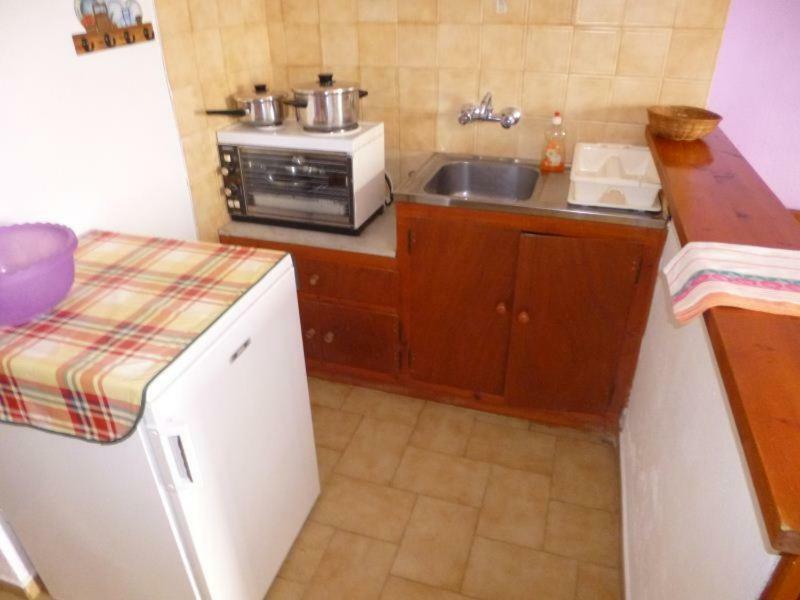 It has a well-equipped kitchenette, TV and private bathroom with a shower. With more than 18 years of experience in the touristic sector, George loves getting in touch with people from all around the world. Great knowledge of Troulos and Skiathos. House Rules Irini Studios takes special requests – add in the next step! Please inform Irini Studios of your expected arrival time in advance. You can use the Special Requests box when booking, or contact the property directly using the contact details in your confirmation. We booked a ground floor apartment due to me using a walking stick. Not realising the aparecent was up a steep slope. My mistake - will ask more questions next time. It was at the back of the property, Ground level , no views. and struggled for sun. Room was clean, cool , and comfortable. We were asked not to throw toilet paper in the wc (a bit weird). Anyway they cleaned up the toilet bin every morning.. so not a big deal.